"If you like your herbal medicine with a proper amount of scientific terminology, a dollop of dry humor, a salting of opinionated pronouncements, and a dash of high junks, Michael Moore's latest book Medicinal Plants of the Pacific West, is just your cup of brew. 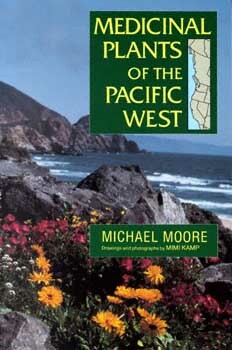 West Coast herbalists, naturalists, and wildflower enthusiasts will find renewed appreciation for the plants of their bioregion from even a cursory reading of this deeply detailed work. Makes me want to move West."